Well some of us love it in the country, but, actually moving to the country can be a bit daunting. 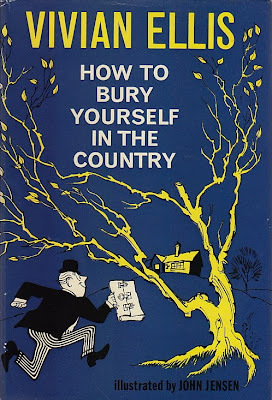 For those of you who want some expertise on moving to the country, check out Vivian Ellis' witty 1960's tome, How to Bury Yourself In the Country. "You don't know how lucky you are to live in the country -- away from it all," Ellis is told by a friend. 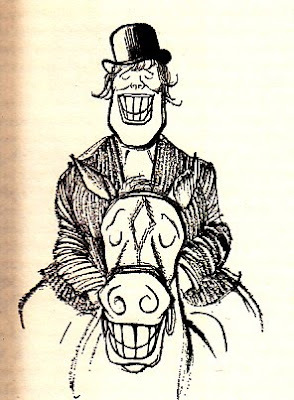 He is appalled by that thought, as the stream is full of litter, people ask for directions, and quite often, children and grown men relieve themselves in the field. "All" seem to be right there in the front field! I know of what he speaks. My friends said, "You don't know how lucky you are to live in the country -- it's so quiet." I am here to tell you, the country is the nosiest place I have ever lived! Grant it, I rarely hear automatic weapons in West Virginia (in DC I could distinguish between a Uzi and an AK-47). Here, every drip, cricket, bird, and log truck are amplified ten-fold. As for the neighbors around you, Ellis rightfully observes, "for the first ten years no one will recognize you officially. A stay of less than a decade means you are a visitor." My first delivery from UPS caused some confusion for the driver. When he finally found me he exclaimed, "Why didn't you say you lived in Opal's house?" After several years, I still live in Opal's house.